If you were shocked by the recent GSA scandal, prepare to be stunned, mortified and outraged beyond belief. In this instance, we’re talking about over $5.5 billion dollars that the same beleaguered agency is getting from stimulus funds in a project that might become the federal government’s Solyndra. According to its own website, “GSA is using $5.5 billion in Recovery Act funds to convert federal buildings to high-performance green buildings and to build new, energy-efficient federal offices, courthouses and land ports of entry.” A whopping $5.5 billion dollars is definitely green – a lot of green, that could be spent on more urgent national needs. Let’s examine where our stimulus money is going. San Ysidro Port of Entry – the largest and busiest land border crossing in the U.S. and in the Western Hemisphere – is set to undergo a series of “green upgrades”, which are expected to cost American taxpayers in excess of $577 million dollars. The original project budget developed in 2002 was $168 million, but later escalated to $577 million and is projected to eventually exceed $700 million dollars. Before her resignation in the midst of the GSA’s recent scandal, Martha N. Johnson “hailed” the project, claiming that it would cut down wait times and improve national security. This kind of glee is understandable – after all, can you imagine how many lavish parties could be financed with such an enormous budget? On the other hand, the impact on national security and wait times may be quite the opposite of what we’re being promised. If you think that the DHS is not hiring enough Law Enforcement Officers (LEOs) because of budget shortfalls, think again. The agency is getting plenty of funds, but they aren’t being directed towards national security. For the last two years, yours truly watched Napolitano appear before various Appropriations Committees, asking for funding to build new DHS headquarters and to hire more bureaucrats. Madam Secretary is not so concerned with the proverbial “boots on the ground”. Everyone is aware of the growing shortage, but not much is being done to address this agency-wide problem. Janet Napolitano openly admitted that our border security is not a first priority, stating that “we have to look at our physical borders as our last line of defense and not as our first.” This approach certainly explains why the DHS is floundering in its half-hearted attempts to safeguard our nation. Annual report by the Government Accountability Office acknowledged that CBP “needs up to several thousand more staff. Field office managers said that staffing shortages affected their ability to carry out anti-terrorism programs and created other vulnerabilities in the inspections process. CBP recognizes that officer attrition has impaired its ability to attain budgeted staffing levels”. 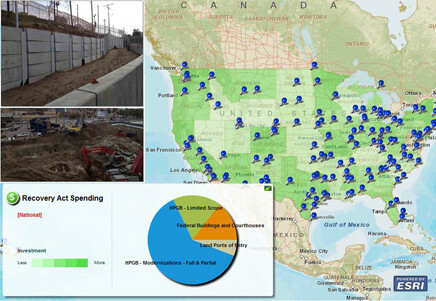 The same report reflects that, according to CBP officials, for the 96 ports of entry that are owned by the General Services Administration (GSA), GSA approves and prioritizes capital improvement projects… For the 23 ports of entry that are privately owned and leased by the GSA… coordinating with privately owned companies on infrastructure improvements is a difficult process because the private owner’s interest in facilitating commerce must be balanced with CBP’s interest in national security.” Plainly speaking, the commercial interests of the GSA as the landlord for the nation’s numerous Ports of Entry seem to override the interests of national security, which is why spending money on “green” improvements takes precedence over hiring needed law enforcement personnel. As a result of the ongoing GSA project, the San Ysidro Port of Entry, which processes about 20% of all travelers entering the U.S., is about to get a whole lot bigger. Once the Port is demolished and rebuilt, the number of vehicle lanes will increase from 24 to an astonishing 62 double-stacked vehicle inspection booths. At the same time, the DHS’ fiscal year 2013 budget does not request additional funds to hire CBP Officers, in spite of the fact that our Ports of Entry are lacking thousands of security and inspection employees. Conspicuously absent from this list is the Department of Homeland Security or any of its components. This might explain the GSA’s outlandish representations that the Port’s expansion will decrease wait times and improve national security. Perhaps in the absence of the DHS at the CRC meetings, the GSA is able to make these claims with a straight face. There are other, albeit silent, stakeholders. It’s no secret that smugglers, terror groups and Mexican drug cartels turn increasingly to the overburdened, understaffed Ports of Entry. Instead of scampering through the treacherous desert, they would rather take their chances with exhausted CBP Officers, pressured by Port managers to complete their inspections in no more than 30 to 45 seconds. In less than 1 minute, CBP Officers are supposed to inspect all vehicle occupants, examine their documents and, if necessary, detain and transfer suspected violators to secondary inspection. The reason for the rush is the backed up traffic. The reason for the traffic is the lack of personnel at the port – and therein lies the perverted Catch (or No-Catch) 22. In this scenario, CBP Officers who successfully detect and apprehend the offenders are doing so against all odds – only to see prosecutors reject most of their cases. This revolving door at the border prompts many efficient, conscientious agents and officers to blow the whistle on the failing system (which usually gets them fired) or leave the service of their own accord. GAO reports that “According to CBP officials at headquarters and the ports of entry we visited, the gap between the budgeted staffing level and the number of officers onboard is attributable in part to high attrition, with ports of entry losing officers faster than they can hire replacements”. It takes approximately one year to fully train a new CBP Officer and the DHS is not seeking additional funding to hire and train new personnel. Therefore, when the remodeled San Ysidro Port opens up, we can look forward to having between 50 and 58 closed vehicle inspection booths on a daily basis, simply because there aren’t enough CBP Officers to man them. It’s truly a mystery how this massively understaffed, spread out facility is supposed to lessen wait times – unless the Port will feature self-service checkout, à la Home Depot. According to the Department of Commerce, the cumulative loss in output due to border delays over the next ten years is estimated to be $86 billion, while the wait times are steadily increasing, along with the vehicle traffic that is estimated to grow by 87% percent in the next two decades. More traffic, combined with more vehicle lanes equals less inspection personnel to process the travelers, which is sure to result in diminished national security and bring about even more chaos at the bursting border. The only bright side to this expensive mess is that weary travelers will be languishing amidst drought-resistant cacti in a glamorous new facility, featuring low-flow toilets and Platinum green LEED certification. This much green just might make concerned Americans see red.